Therm-x combines it’s years of experience on both electrical and mechanical assemblies to support the product that is right for your application. Especially when it comes to temperature related process control and measurement. 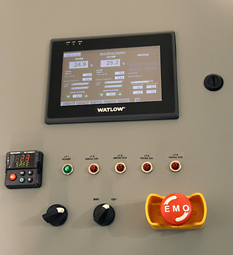 Our manufacturing facility is equipped with state of the art equipment to manufacture everything from small box builds to elaborate rack mounted control systems capable of controlling your application to the precise measurement you need. And it comes with technical support form one of our many qualified engineers. Design support services from inception to delivery has made us a favorite supplier to O.E.M.s in Silicon Valley. Advanced use of thermal and other modeling tools such as Autodesk CFD Simulation and SolidWorks allows us to assist in the modeling and development of your Heater, Sensor or Process Control Application. Thermal imaging, Life Cycle testing Design of Experiment and other validation methods are performed in house in atmosphere and vacuum to ensure your product meets all requirements. Therm-x has been successfully providing metal manufacturing solutions to clients in a number of Hi-Tech industries for 25 years. Combining the use of CNC Vertical and Horizontal milling centers as well as CNC turning centers, Robotic Laser cutting, Welding, Hardware insertion and real time data collection including SPC to ensure quality product. 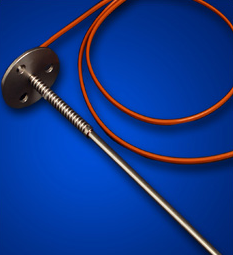 Therm-x has Vacuum, and Hydrogen braze furnaces for advanced metal joining of Heater, Sensor, Medical, and Microwave applications. Furnace brazing allows joining simple or complex designs for one joint or several hundred joints. TIG and Laser welding are also available with Helium leak detection to validate requirements of vacuum applications. For final integration, Therm-x has CNC Sheet Metal Punch Press, CNC Brake and CNC Laser cutting capabilities along with Fabrivision scanning technology for validation. Hardware insertion and mechanical assembly services allows turn-key assembly of your product along with final test and validation. Therm-x combines years of experience in semiconductor vacuum thermal design with high tech manufacturing methods, advanced material knowledge. Design begins with completely understanding the application requirements in order to select the best materials and heating methods available. Therm-x offers experienced engineering and design services with a vertically integrated manufacturing facility complete with UL 508 assembly, sheet metal and frame fabrication, CNC machining, and metal joining (includes TIG, spot and laser welding, torch, vacuum, hydrogen brazing, and soldering). Our systems engineers have extensive product knowledge and electrical engineering background to assist in bringing your integrated system ideas to life. Therm-x has been developing creative ways to most effectively measure temperature in applications ranging from Chocolates to Aerospace. 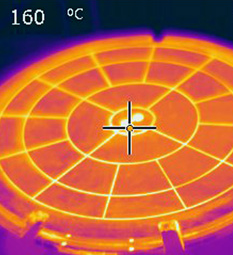 Our team of thermal experts will help guide you through the process of best achieving your requirements by offering the appropriate materials, mounting, sensor type, location, and shielding to optimize results.